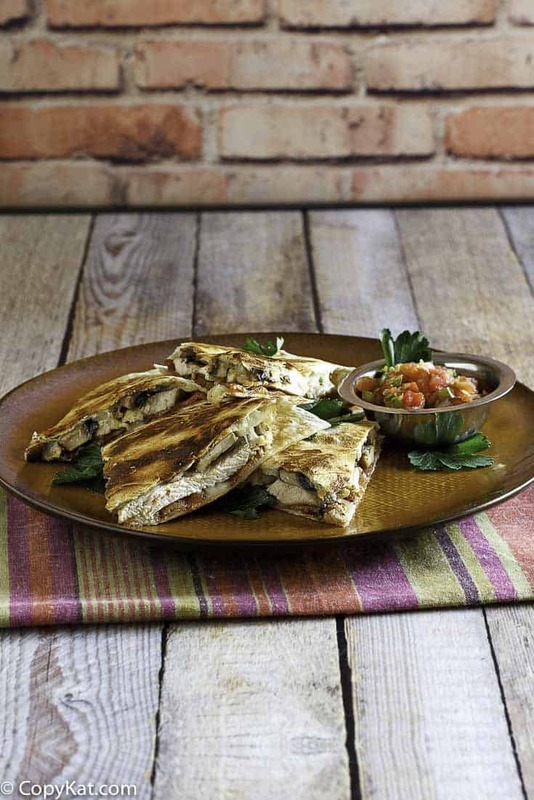 Outback Steakhouse Alice Springs Quesadilla is a great take on the classic Quesadilla. You can recreate this recipe at home. Who doesn’t love a good old fashioned Quesadilla? 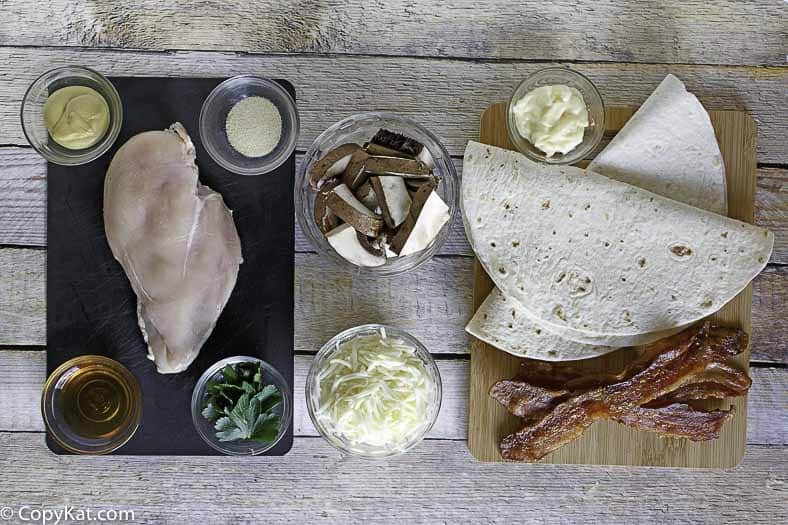 A tortilla is packed full of delicious chicken breast, cheese, and more? I think Quesadillas are perfect for the beginner cook. They are quick and easy, and you can pop one together in no time. This one is packed full of chicken, bacon, and cheese. Seriously? Who let this secret out? If you happen to have some leftover chicken or perhaps you buy cooked chicken breast at the grocery store, you may want to use that instead of sauteing up chicken for this recipe. If not simply season a chicken breast with some salt and pepper, and cook it for 10 minutes with a touch of vegetable or olive oil. Love honey mustard? I will show you how to make honey mustard in this recipe as well. You may want to enjoy your quesadilla with either honey mustard or your favorite pico de gallo. Love the Outback Steakhouse? Check out these favorites. 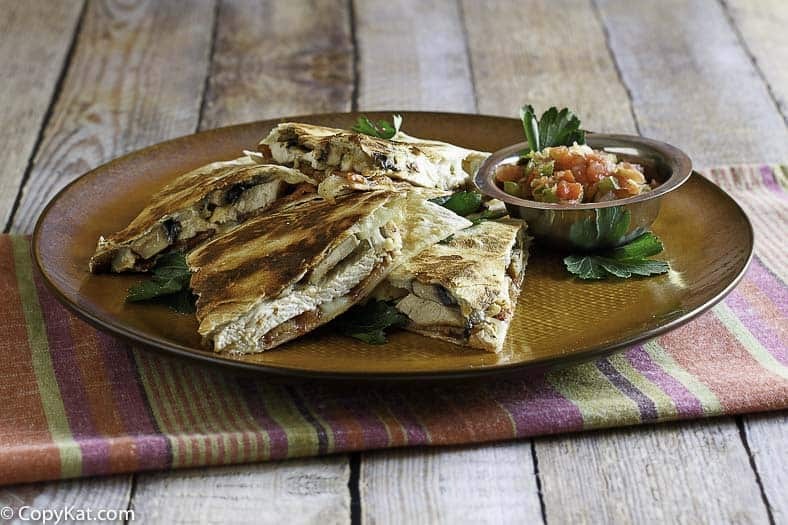 These quesadillas make the perfect entree or appetizer. Prepare the honey mustard by combining the mayonnaise, mustard, and honey in a small bowl. Mix well and set aside. Slice the chicken breast on the diagonal into short slices about 1/4 inch thick; set aside. To grill the chicken breast, season with salt and pepper. Heat a grill to 350 degrees. Brush chicken breast with vegetable oil, and grill for 4 to 5 minutes on each side or until chicken breast is fully done. If a grill is not available you may want to prepare this in a skillet. Use nonstick spray or about 1/2 teaspoon butter to coat the surface of a skillet or grill, heat it to approximately 350 degrees. Saute the mushrooms over medium-high in a skill with 2 teaspoons butter, garlic salt, and parsley. Cook the mushrooms quickly you want them to brown on the outside. They will take 2 minutes to cook. Transfer to a bowl. Sprinkle half the cheese on a tortilla. Add half the mushrooms, chicken, and bacon. Top with another tortilla. cook for 2 to 3 minutes in the same skillet that the mushrooms were cooked in, flip ery carefully. Cook for another 2 to 3 minutes. Repeat with remaining 2 tortillas. Use a pizza cutter to cut each quesadilla into quarters. Serve with honey mustard or your favorite pico de gallo. To add flair, sprinkle a little fresh parsley on the finished dish, if desired. You did not tell how to cook the chicken. While the ingredient list says grilled chicken, will go ahead and add that step as well.